Full colour A4 size candid photos of our Basenjis with a full A4 page set aside for each month. Go to the Clubs shop on this website to purchase or click here for more details…..
Like Wolves and Dingos Basenjis cycle once per year. Generally the females come into season at the around the same time. Puppies being born in the winter months; in Australia normally early June through to early August. The VBBA has put into place a comprehensive and thorough health program which our breeders must follow. Basenjis are long lived, generally between 12-16 years. VBBA breeders are dedicated to making those years happy and healthy. Contact a VBBA breeder now to discuss purchasing a puppy. Benefits of joining the VBBA include; access to the member resources on this website, extensive community with years of breed experience, magazine, events. This Club holds events throughout the year for all Basenji owners and their children. Fun activities with an educational focus. Purchase club membership, renew membership. Purchase calendars and other doggie goods and products at the Club’s shop. Pay by credit/debit card or by PayPal. Look no further….review our breeders directory. The VBBA has comprehensive breeding recommendations and Assured Breeders Programme. Who we are and what we do, the club’s office holders. The club is a not for profit association that represents the best interests of the Basenji breed. Members of the VBBA enjoy all manner of dog related pass times. Sport is the perfect way to form a strong and rewarding bond between you and your dog. Education and breed promotion are seen as important virtues for the VBBA. Call us if you have a question of visit us if you see our display. The B-Mail, the club magazine. There are 6 editions each year. It is full of interesting feature articles, health updates and tips and tricks of owning a Basenji. Owning a Basenji is a 12-16+ year commitment. Ensuring your dog is well looked after and follow the law. The care of your dog and its manners is your responsibility. Ruby regularly adds delicious goodies that she enjoys and would like to share with our members. A sample recipe is shown here – join the VBBA for more recipes! The VBBA’s health & wellbeing resource is available to members. 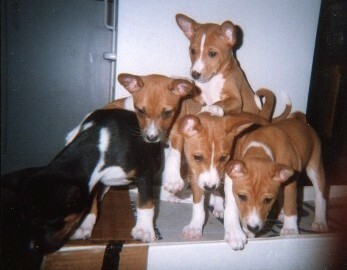 This database is added to with member input and has many tips for keeping your Basenji happy. VBBA member verified health results – coming soon. What’s new at the Victorian Basenji Breed Association Inc? In October 2014 the VBBA launched a Breeders Guide and Recommendations for the Management and Eradication of Heritable Disease that affect the Basenji. The Club also launched an Assured Breeders Programme which offers some assurance to potential puppies purchasers that breeders displaying the Assured Breeders Programme logo have had the breeding verified by the Club’s Historian to ensure that it complies with the mandatory health requirement designated by the program. The Assured Breeders Programme is awarded each for for each breeding so that members of the public can be confident about the purchase of a puppy from the breeder concerned. As part of the VBBA Second Effort Programme the Club has launched a Microchip Reminder Service website for Basenji owners, including those who are not members of the VBBA, to load their dogs microchip details. Breeders can also lodge litters. The purpose of the database is to act as a reminder service. Every so often we will send an email to registrants to remind them to ensure their Basenjis microchip details is up-to-date with their chosen national microchip registry. This is particularly useful if you move home and in the stress of moving you forget to change your microchip details. Also in the event that a breeder has registered the microchips of a litter a dog can be traced back to the breeder should the dog be lost and the owner not be found. All dogs must have their microchip lodged with a national registry and we also check that the all microchips lodged with us are also lodged with a registry such as Central Animal Records and National Pet Registry. What is the Victorian Basenji Breed Association Inc? 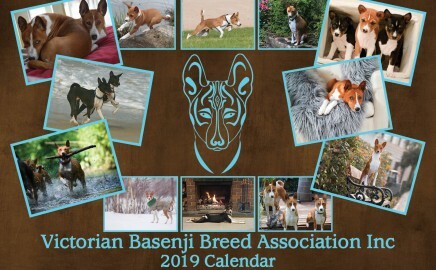 The Victorian Basenji Breed Association Inc.is a not for profit organisation that has been formed to represent the interests of Basenji’s and their owners. 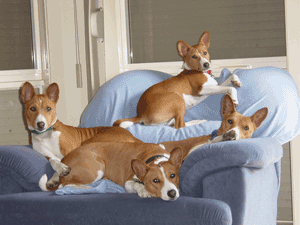 The Association is dedicated to the promotion and protection of the Basenji. The Club was incorporated on the 31 October 2012 and came about from suggestions by companion members from another organisation. The VBBA is fully inclusive of all people that have an interest in the Basenji, whether you actually own one, are looking at owning one, are a previous owner or just admire the breed. We represent people who undertake all manner of activities with their Basenji whether he be your walking partner, much loved family companion, show dog, obedience dog, tracking dog or anything else……the VBBA was formed to support everyone. What is the key focus of Victorian Basenji Breed Association Inc?